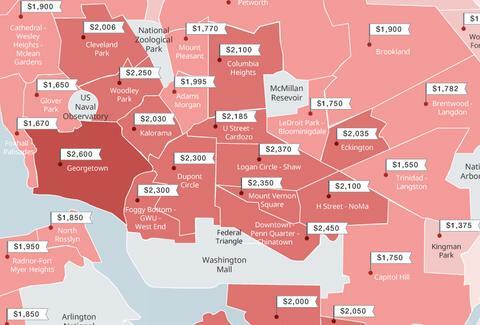 Everyone knows it ain't cheap to call DC home, but thanks to a new map from real estate listings site Zumper, we can get a good (and depressing) look at the increasingly high rents in many neighborhoods across the city so far this spring. It's pretty damn discouraging, to say the least. 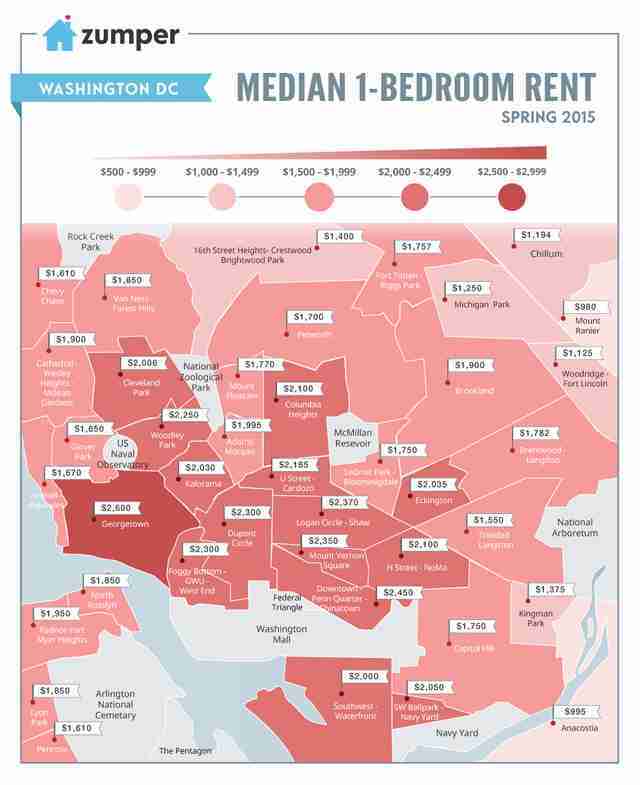 Specifically, the map (embedded below) shows the median rent for a 1 bedroom apartment in several DC neighborhoods so far this spring, based on Zumper's rental listings data. Among the most expensive neighborhoods were Georgetown ($2,600), Foggy Bottom-GWU ($2,300), and Dupont Circle ($2,300) -- no big surprises there. However, rents were slightly less ridiculous in parts of town like Fort Lincoln and Michigan Park, among a handful of others, according to the map. Tony Merevick is Cities News Editor at Thrillist and somehow manages to get by renting an apartment in NYC. Send news tips to news@thrillist.com and follow him on Twitter @tonymerevick.